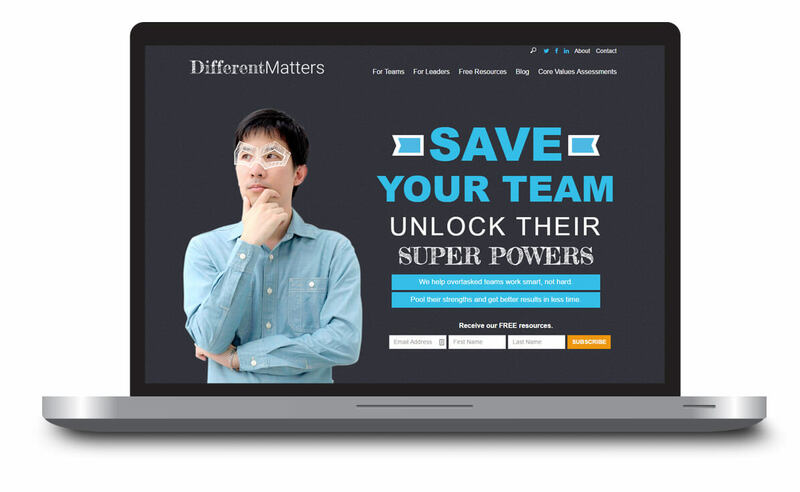 DifferentMatters helps over-tasked teams work smart, not hard, and pool their strengths for better results. 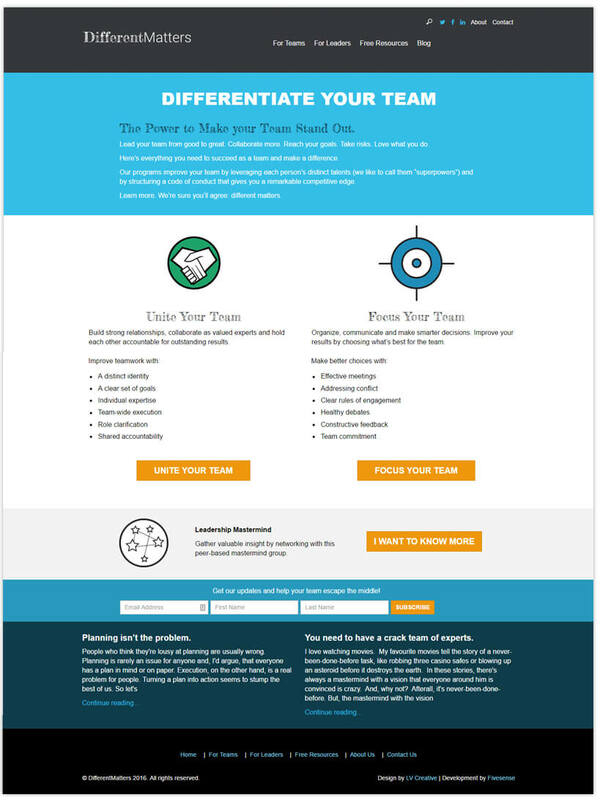 Led by Todd Attridge, this Toronto-based company works with corporate teams and executive leaders to help identify strengths and help companies go from good to great. Todd uses the words “super powers” to describe individual strengths. During the design process, we decided to double down on this term and focus on a superhero theme. I added illustrated superhero costumes to stock art of business people to mimic the scratchy, illustrative style of the logo. 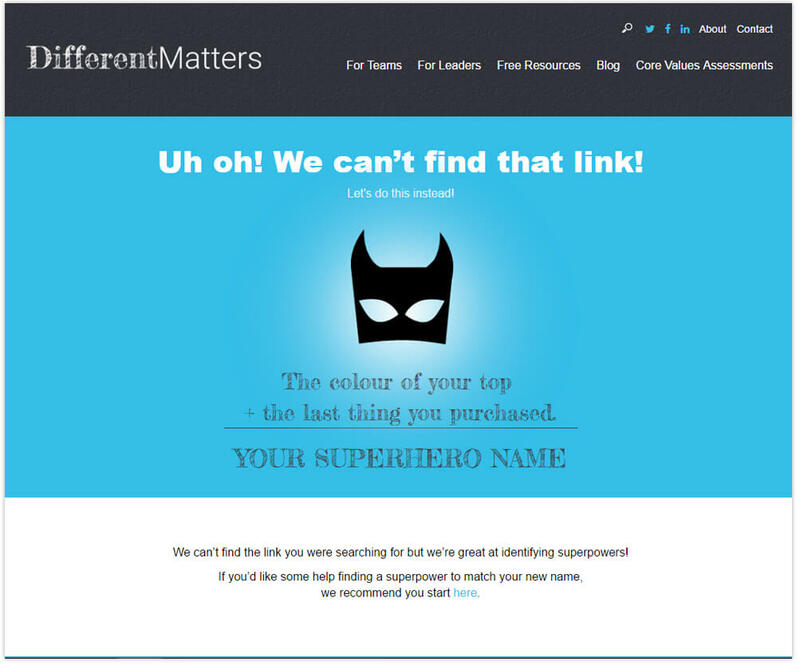 Some other design elements included a custom illustrated icon set and a fun 404 page that furthered our superhero theme. 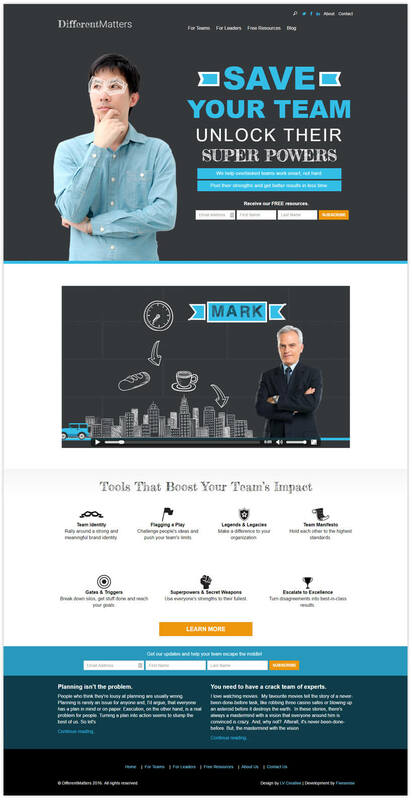 All design elements were provided to Fivesense Technologies Inc. who handled all development work and ultimately launched the site. I was unsure if you’d have the patience to work with a beginner like me, but I didn’t need to worry. I really enjoyed how you allowed me to discover, but also pushed back on my ideas when you felt I was going down the wrong path.